There isn’t just one closet design that works for everyone. We believe in the “One Size Misfits All” concept. From simple and efficient reach-in closets to luxurious walk-ins, we were the first in St. Louis to take closet organization to the next level by making our solutions tailored around your unique needs and lifestyle. We even give our clients the option to choose between using our floor or wall based systems. Both are 100% safe and 100% ensured to get you organized! You wouldn’t hire your plumber to paint your house…so why trust anyone else but the best for your closet organization needs? We make custom organization easy and affordable. Don’t forget to check out our accessory options to personalize your NewSpace closet to match your home décor and personality! When space is limited, we will design a closet that fits more than you ever imagined. 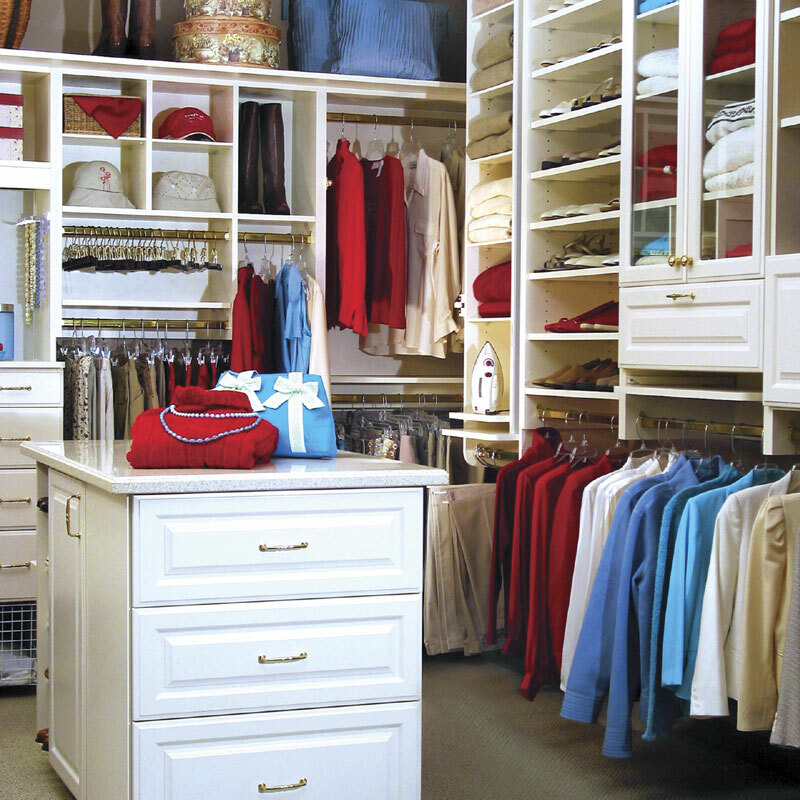 We utilize horizontal and vertical space to maximize your closet and organize all your belongings. Reach-In closets are great for all ages. Baskets and cubbies are a great place for young children to store toys and make clean up time fun and easy! All of our shelves are adjustable so your closet will always accommodate to your items during the changing seasons. It’s time to say goodbye to that single metal rod and say hello to organization! You won’t believe how much you will be able to fit into your NewSpace closet. There is something special about a walk-in closet. It’s a dressing room, home for your favorite clothes and accessories, and for some, a personal sanctuary. Our experienced designers listen to your needs to best assess which materials and accessories are best for your home. Our assortment of feature and accessory options make sure your closet reflects your unique style. If you are ready to make your dream closet a reality, NewSpace is the place to go. Some of St. Louis’ most luxurious closets have been built inside our in-house manufacturing facility. Our experienced staff knows what it takes to not only match your expectations, but exceed them. We have a wide range of custom storage solutions that are available in an assortment of materials and finishes that accommodate all your belongings. Your individual style is always reflected in your design and created to compliment your home décor. From crown moldings to convenient center islands, we will make it our priority to make your dream closet come to life!